death and other perilous experiences during his time as a handyman and guide at the Profile House, a hotel named for the nearby Old Man of the Mountain rock formation. A popular destination, the hotel attracted myriad guests, and Swett’s tales of rugged endurance are accompanied by keen observations of the people he meets. Confident in his identity as a Deaf “mute,” he notes with wry humor the varied perceptions of deafness that he encounters. As a signing Deaf person from a prominent multigenerational Deaf family, he counters negative stereotypes with generosity and a smart wit. He takes pride in his physical abilities, which he showcases through various stunts and arduous treks in the wilderness. However, Swett’s writing also reveals a deep awareness of the fragility and precariousness of life. This is a portrait of a man testing his physical and emotional limits, written from the vantage point of someone who is no longer a young man but is still very much in the prime of his life. This collection also includes “Mr. Swett and His Diorama,” an article from 1859 in which Swett describes his miniature recreation of the Battle of Lexington, as well as Manual Alphabets, a pamphlet published in 1875 on the history of manual alphabets that includes short biographies of Thomas Hopkins Gallaudet and Laurent Clerc, two pioneers of Deaf education in the United States. 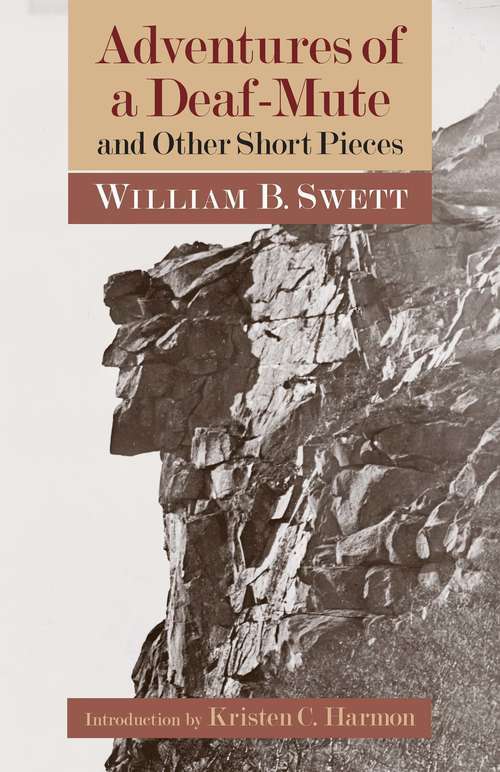 The work is accompanied by a new introduction that offers a reflection on Swett’s life and the time in which he lived.